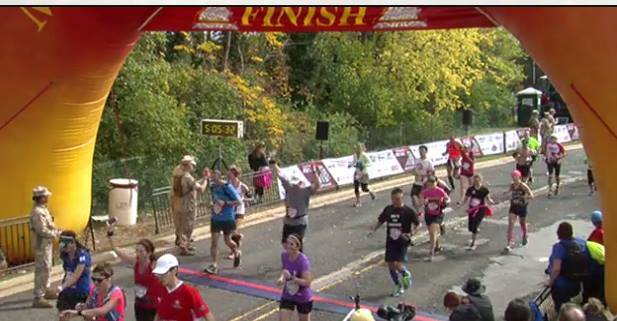 I’ve really been struggling with finding the right words to say to recap my experiences at the 2015 Baltimore and Marine Corps Marathons. Usually, after a race, I like to write my most honest opinion about the race itself. What was the expo like? The swag? The atmosphere? The course? I intend to write those posts, because frankly both races are absolutely worth their while and deserve a review, but I trained for both of these races together so it’s hard to separate the emotions I have about them. The only other time I felt even a fraction of how I feel now is after finishing the 2013 Walt Disney World Marathon– my second one– as part of the Goofy Challenge because I literally had no idea that I could do it. This is different because instead of leaving it to chance, I actually worked for it. As in, I trained instead of following a training plan that I hoped would work on race day. I’ve always worked hard in training, but I found out there is a difference between owning your training and being owned by your training. Here’s the overwhelming question in my mind: what do I do now? I feel like that after every marathon I run, because it’s not just the race that leaves you with an afterglow. It’s weeks of training and the hours spent running and the moments of doubt and elation followed by a 26.2-mile run, then immediately, it’s the daily void of not having a tempo run or a set mileage goal to accomplish. There’s a medal on your wall. Everyone is asking how it went. No more training logs to keep up with, your body is still craving tons of food but now you’re trying to train it to go back to normal so you don’t gain post-marathon weight. You’re adjusting to normal life again. 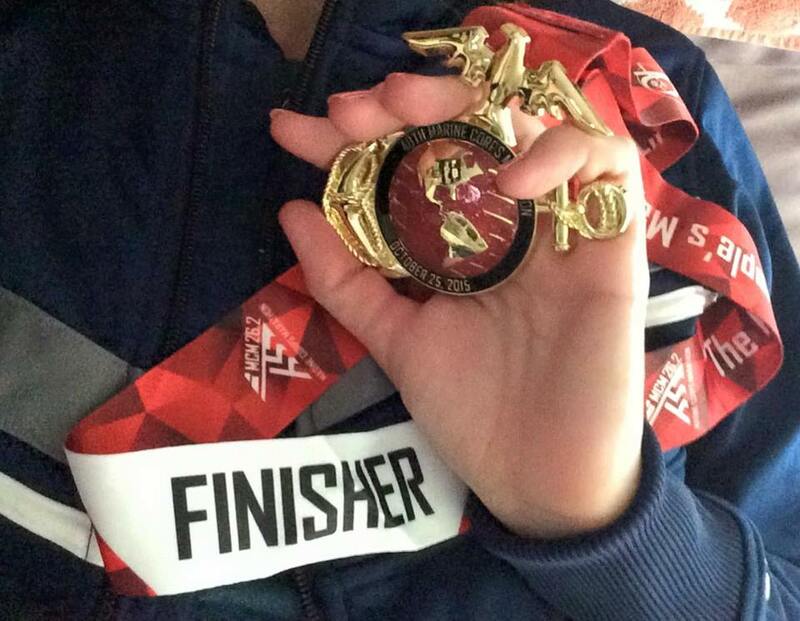 I may have run 7 full marathons, 13 half-marathons, and logged hundreds if not thousands of miles training for them, but here’s why I feel different this time: I am so unbelievably proud of myself. I have never once felt proud of myself. Running, to me, was always about having something to do to stay fit or sane or social. People ask me why I run, and I always joke that it’s because I’m 33 and single or that it’s cheaper than therapy or I am obsessed with neon. I may continue to say those things, but I never really understood what the sense of accomplishment in running feels like until now. I always shrugged that part off, probably because I always thought, If I can run a marathon, so can you, so you should try it. But man, I AM SO DARN PROUD OF MYSELF RIGHT NOW. I train for marathons completely on my own. I don’t join group runs when I am in training. Something about training with other people ignites my competitive side, which is why I don’t enjoy team sports: I don’t know how to handle the emotions of being competitive. So I train solo. I did not hire a coach. Once upon a time, I read Hanson’s Marathon Method but decided it wasn’t right for me even though I agreed with some of the principles of training, like varying your runs to train certain muscles. I used an old favorite training plan from Hal Higdon to form the foundation of my training, only I downgraded from the most advanced versions to the Intermediate 1 plan without a slight care that a 5-time marathoner was “only” on this plan. Point is, I realized that the advanced plans did not match where I was as a runner in terms of my goals, not in terms of how many marathons I had run. And I created a plan that I knew I could handle using Hanson’s principles. I started training for my fall marathons in January. That’s right– when I started my training for the spring half-marathon season, it was because I wanted a strong base for my fall marathons. In prior years, I would literally start my 18 weeks of training on Day One. Not this year. Even though I didn’t get out of the 20-29 miles a week range until nearly halfway through training, I set myself up for this experience with nearly 6 months of 10-15 miles per week. Base training. It makes all the difference. I set clear goals and met them. My goal was to run a 4:00 marathon. No, I didn’t reach my goal on race day (and I know why– the pace run intimidates me). But I look back on my training and every single run was within the goal pace range that I established for myself. I’ll write it again: I met every goal I set for every training run I accomplished. That is 18 weeks, 126 training days, and 126 training goals and I met the majority of them. The marathon time goal, while it is the one that counts, is only one in a long line of goals. I did not beast mode every run. I would say the overwhelming majority of my training runs were over 10:00 per mile average pace. Once upon a time, that would have discouraged the hell out of me. It’s a test in patience to run slow when you would rather fly. But I got enough of a challenge without killing myself every run and it left plenty in the tank for the runs that really mattered. I’m willing to bet that this approach is why I a) got a PR, b) ran injury-free for 18 weeks of marathon training, and c) was able to run two back-to-back marathons. You better believe I will use this same approach in my upcoming training. I rested on days when I needed it. Looking at my training schedule, I see a lot of rest days. It kind of bothers me how many rest days I took. But rest is a critical part of training, and who knows– maybe using a rest day when I needed one kept me from an injury. I wonder how many of those rest days was the difference between overdoing it. I am proud of myself because for once my training was spot on. I don’t give a crap that I didn’t get my 4:00 marathon because I just ran two marathons in a week and they were only 10 minutes apart in finishing times! One of them was a 10-minute PR and 31 minutes faster than my 2014 marathon. The second one was 29 minutes faster than the last time I ran that course 4 years earlier, it was “just” 10 minutes slower than the marathon the week prior, and it was only 23 seconds slower than my original 2013 PR. What kind of stats are those!?! Crazy awesome. I killed these races. And I did it all by myself. Literally. That was literally all me. I’m trying not to sound like I am bragging and I don’t want to come off as the person who declares they don’t need anyone else when deep down they are begging for attention. I’m not either of those things. I am genuinely, supremely, overwhelmingly proud. And may I say FINALLY. 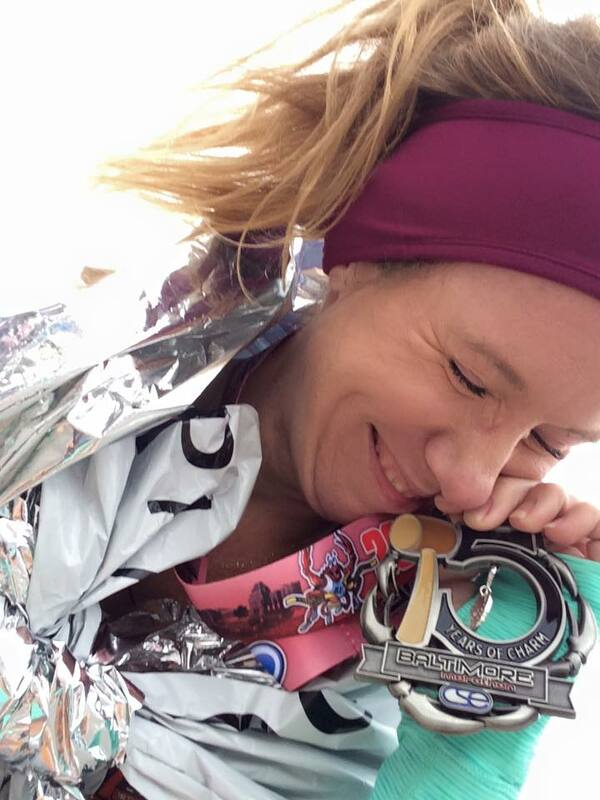 It took 7 marathons, 13 half-marathons, and hundreds if not thousands of miles training for them to feel genuinely proud of myself as a runner. I need some down time, frankly. I think I strained a glute or hip muscle on my right side so I am walking gingerly, focusing on putting this little setback behind me because this journey is in no way over. I need to maintain my base so I can get through the 2016 Dopey Challenge, now just about 2 months away. My next steps are to build on my success as a runner, but I am not going to start getting cocky about time and paces. I need to concentrate on the basics of core and glute strength. After my two weeks off from running, I will start looking into ways to incorporate cross-training and strength workouts into my Dopey training. After Dopey, I will maintain a minimum of 20 miles per week in the winter time as I train for a spring half-marathon season. I will be preparing my body to take on speed work and pace runs. But I can’t do that until I rebuild my house on solid ground. I can’t even visualize what my 2016 fall marathons will be. I’ve floated the idea of the Los Angeles Marathon. Hopefully New York City. Maybe the Air Force Marathon. Maybe Marine Corps again. It would be nice to run through my hometown of Omaha, and I hear Philadelphia puts on a nice show. I’d like to take on just the Walt Disney World Marathon with my family. To be honest, I wonder if there will ever be another race to top these past two races. I wonder if this is how Olympians feel when they make the decision to end on a high note or try for another shot at glory. Not making the comparison, just the point. No, I am not done with this– marathons are for life, and fitness is for life. And then there’s the runner’s unicorn: Boston. If I feel this way about meeting my goals for Baltimore and Marine Corps, I can’t imagine what it would be like to get myself from Hopkinton to Boylston. I guess what I am feeling now is the same feeling you get when something you look forward to for so long happens and then it’s over. I think its clear that all of my expectations for the fall 2015 marathon season were blown out of the water, and it’s wonderful to have some new material to work with. Perhaps what I am feeling is something I haven’t felt in a long time: overwhelming gratitude for this gift, for the joy it has brought to my life, and for both the physical and emotional endurance to see it through. Very insightful report. Congratulations on your marathon accomplishments this year. So true, that it is everything that leads up to the event that takes on its own significance to us and provides its own sense of accomplishment. Congratulations again!